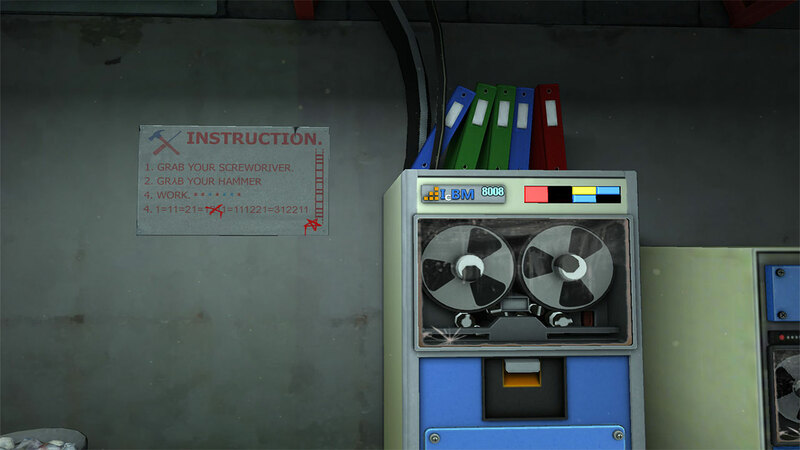 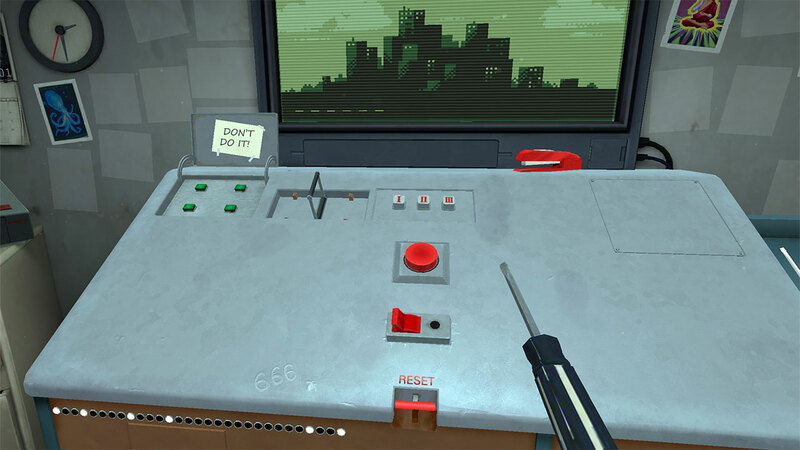 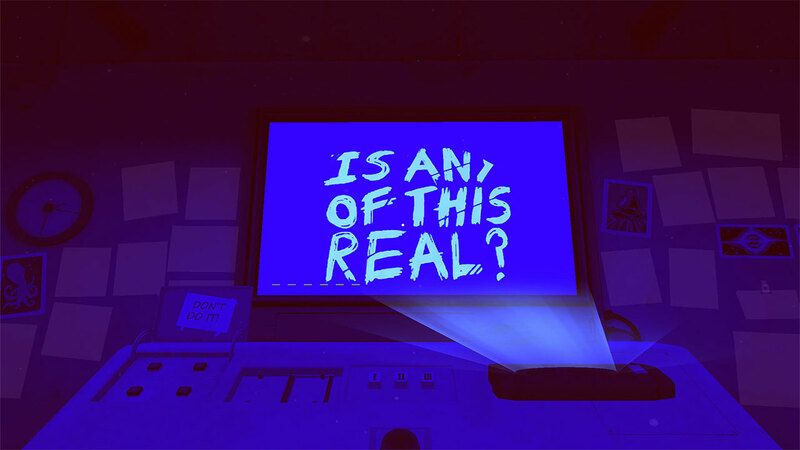 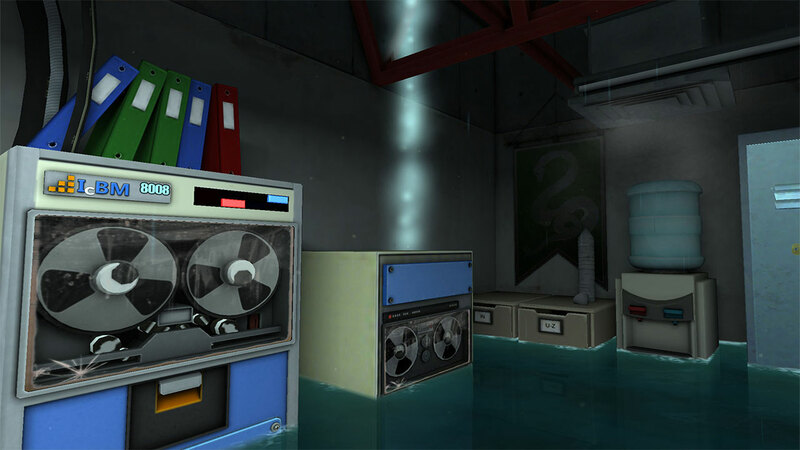 Please, Don’t Touch Anything is a cryptic, brain-racking button-pushing puzzle game. 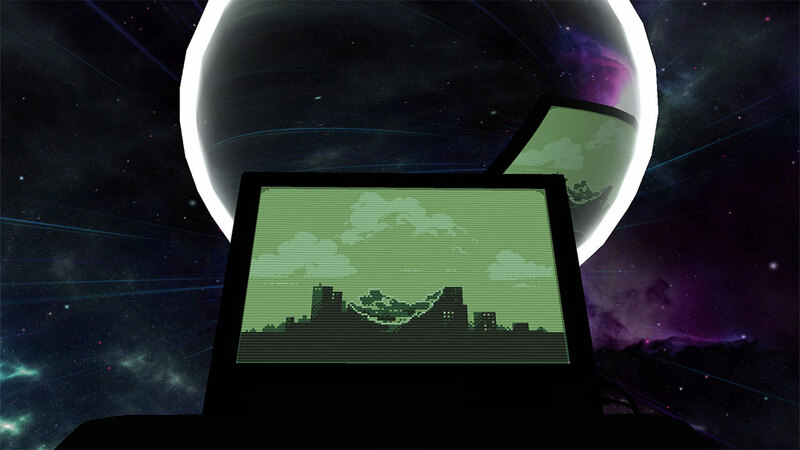 Covering for a colleague taking a bathroom break, you find yourself in front of a mysterious console with a green screen monitor showing a pixelated live image of an unknown city. 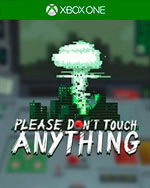 Also present is an ominous red button with the simple instruction to not touch anything!